Finally, this post is coming together! It has been a long time in the making, and in the meantime it’s “all-change” here at TFL. The re-vamped site looks great Floyd, and I am about to experiment with all the new upload options now made available. I gather I should be able to embed my own videos; well, let’s just see how I get on shall we? Ok, well, I’ve entitled this post “Spring”, but in truth, we haven’t really got going with this most beautiful of seasons in the UK, especially here in “The North”. Current estimates are that the natural environment is lagging 6 to 8 weeks behind where we could reasonably expect it to be. Many of the big old trees in our village have no buds on them whatsoever. And it has been cold; very cold indeed. It is now windy, but there is some warmth when the sun is out properly. I start off with this whinge because it drove many Brits to choose to escape to Southern Europe at Easter-time, fed up as the coldest March on record was finally drawing to a close. Alison and I were part of this exodus, although we had decided to take a 2 week break at Easter some time ago, when we found cheap flights with EasyJet from London’s Gatwick Airport. We are going to Scotland with family this July, so hit on the idea of exploring our favourite island of Crete in the Springtime; what a fantastic ideas that turned out to be too. We are used to Crete appearing baked; little water, no grass, limited flowers to say the least. It can be a trifle windy, but ordinarily it is HOT. Of course our visit this time brought very different weather, and a landscape very unfamiliar to us, and very beautiful indeed. I made notes of our early days in Crete, and reflected largely on baking, given I made bread in the wood-fired brick oven attached to the lovely “Anatolika” Beach House where we were staying. I will write up the notes below. There is also a video slideshow to watch, with photos of my baking, of the amazing landscape we enjoyed, and acknowledgement of our feline companions through the fortnight. Alison loves Crete – she has been coming on holiday to this island for close on 25 years. She brought me to Crete for our extended honeymoon back in 2007, and I too fell in love with the place. Setting the scene: we are on the South Coast, around 40km due South of Rethymnon – Crete’s third largest city. The road west is unfit to use to drive in our grotty hire car and the road east meanders for a few kilometres around shore and mountainside before it peters out. To the south is the Libyan Sea, with the tiny island of Gavdos some 4 hours away by boat. After that, next stop Africa! So the north is our access point, over hills rising close to 1000m, with the town of Spili as our base for buying supplies. We re-visited our favourite greengrocer and stocked up on aubergines, peppers, courgettes and other vegetables, as well as some fabulous local strawberries. The shopkeeper also sells loose dried beans and pulses, so we bought fava and gigantes too, and we also found some local speciality pasta. Last, and definitely not least, we bought local honey, plus the gentleman’s own olive oil [truly top class], and raki, which was sufficiently smooth that Alison was quite happy to down a tipple in one when offered a sample in the shop! At the other end of the town car park is the INCA supermarket where we bought other provisions, including a good range of flour….milled in Crete. I bought a beautiful coarse wholemeal with protein of 14.4%, a strong white flour for bread at 11.8%, and what must be close to a US All Purpose flour at 11.2% - although I expect it to have been milled from predominantly Mediterranean-grown wheat and, as such, that the protein quality and water absorption would be lower than its US counterpart. I have included photos of the flour bags in the slideshow. All the flours were produced by the same milling company. We followed one of the company lorries on our way back to the airport as it made its way from its base in Souda, near Chania, to one of the plant bakeries in the capital city, Heraklion. The labels are headed ΜΥɅΟΙ ΚΡΗΤΗΣ, which I suspect translates as “Cretan Mills”. The Greek word for flour is αλεύρι. I don’t lay claim to the flour being any local speciality flour like the Gilchesters’ which I use in the UK; anything but! They are clearly industrially-produced flours with consistent specifications. But, they are milled at Souda, the port which serves the second city, Chania, in the west of the island. I do not know where the Greeks source bread-making wheat, but have these inclines. Thessalonikii in the north of the mainland is noted for agri-business, and one suspects the shortfall is made up from wheat from the other EU nations, France being a most likely source. I arrived in Crete to bake, armed with a red plastic scraper, 40g of levain stashed in a plastic container, and a neat mini-scale which I have photographed in the slideshow. The scale weighs upto 300g, in 0.1g denominations, although a level scoop only provides about 30g of flour, so weighing out accurately can be a bit of a pain. Still, it’s a good balance; I avoided “winging it”, but managed to keep things as simple as possible for me to enjoy the pleasures of baking in our wonderful seaside abode. We arrived on Friday afternoon. I had driven overnight from home to London [350 miles/560km] before the flight to Crete, plus a 120km journey from Heraklion airport, so, yes, I was tired. We shopped on Saturday, and I built up the levain. Alison and I sourced some wood from the roadside and the beach, and the owners of Anatolika supplied more besides. The sun shone and it was hot for the first few days. On the Sunday, I baked a large Miche, which was a little over-ambitious at 1.5kg of dough, as my makeshift banneton was too small to allow full proof, meaning the crumb in the centre areas of the bread ended up just a little tight. I also made 2 small cobs of Toasted Almond and Prune Bread which served well for breakfasts over the next few days. The pick of the breads was undoubtedly a large wholemeal cob, which I topped with a few sesame seeds. I think a white crusty bâtard, or maybe a small but chunky baguette, with a scattering of sesame seeds is typical of everyday Greek bread. But, we like wholemeal flour better, and I had a couple of plastic round bowls to use and some linen tea towels to improvise as bannetons…so these loaves became our bread of choice for our lunchtime sandwiches this holiday. In the early part of the second week of the holiday I baked once more. This time I made a pizza, which baked in just 2 minutes in the red hot oven, just after extinguishing the fire. A courgette focaccia followed, taking just 5 minutes to bake through! I made more wholemeal bread plus some spicy buns. The buns tasted good, but the levain was somewhat over-ripe by the time I came to make them, and my supply of bread flour running very short. Yet again, the wholemeal loaves were just great; I reckon hydration in these loaves was in excess of 80%, and they stayed fresh for days. Of course, we really did not want to come home. Here is the slideshow of photographs from the holiday. Nigel covered the Hexham Farmers’ Market on 13th April allowing Alison and I to catch up with my family on the way back home from London. I then had to travel back up to Dunbar for nightshift work on Sunday night for 4 nights. We had friends for dinner the following Saturday and I worked just one Sunday night back up in Scotland. After that I baked all week on my wood-fired oven at home in preparation for the Alnwick Farmers’ Market on 26th April. You can see my baking effort on the slideshow below. The weather was rubbish that day, but sales were ok considering. I attended Hexham Farmers’ Market the next day, and sold out of everything very quickly, including the small amount of excess from the day before which went on special offer. After a brief rest on Sunday, Alison and I caught an early train South on Monday morning [29th April] and were joined by my parents at York en route to London. We went to the Barbican Centre in the heart of the City of London for my Graduation Ceremony with City University. Yes, finally I have successfully completed an MSc in Food Policy. There are a few photographs at the end of the slideshow below. Nigel and I had a large baking session on Thursday this week. We attended the Newcastle Farmers’ Market for the first time on Friday 3rd May, and all-but-sold-out of bread. Given tough competition, minimal publicity, and a first attempt, 130 loaves sold seems a good result to us. We wait to see whether we are invited back for June and July. I’m looking forward to the Summer. I have a few day courses booked in, plus the Farmers’ Markets and the Powburn Show. BUT, I soooooo need a bakery; that is the real goal I have to work for. Thank you very much. There have been a number of times over the 3 years I have been studying for this Masters' Degree that I just thought it was beyond me. Sometimes I felt almost overwhelmed, intellectually, and others I just felt too time-pressured with everything else going on around me. Some people take 2 years as a full-time student to do this course! Anyway my course tutor has kept me going, but the biggest support came from my wife, Alison, of course. She studied for a Masters some years ago and completed all the modules and was starting to write up her dissertation when she had to quit as the pressures of being a full-time teacher and parental responsibilities for two 15 year old boys just got to be too much. She helped to make sure that there was never any reason why I would have to quit. It's always good to hear from you; are you still involved at KA? I'm heading back to Vermont in just a few months as it turns out. I hope you'll have the opportunity to travel there for one of Jeffrey's professional classes one day. It's beautiful just about any time of year. Of course a trip to Vermont to join Jeffrey's course on European breads which he co-teaches with James MacGuire has been up on my Vision Board since it was first created. That would be the ultimate CPD for any baker and teacher, surely? Yes, indeed: one day, I hope to make that happen. Thank you for catching us up on your doings. And a very much deserved congratulations on your graduation! Having watched my eldest daughter go the same route as a "non-traditional" student, I appreciate that it is quite an achievement. Beautiful places, beautiful breads, and beautiful photos! Best wishes for locating that bakery. Do you wish to stay in your present community, or are you willing to relocate for the right opportunity? it is a pleasure to share and your words are much appreciated. Regarding location, we don't want to move far. I have already worked hard to secure some business in the vicinity and to establish my name and reputation. The only reason for moving elsewhere would be to lessen Alison's driving commitments for her job. And, no one seems to want to buy our house either! Indeed who wouldn't rent a cottage with such an oven, Varda! For the Farmers' Markets where I bake in partnership we make all the bread the day before the Market The Alnwick Market I do by myself and only have access to my wood-fired oven on our patio. I want the bread to be utterly authentic - local and organic ingredients, crafted with my own levains, knowledge and hand skills and baked in the brick oven. So it is truly "artisan". It means baking over 3 days for me to achieve this level of integrity with the tools available, so yes, getting on for 60% of products have to be frozen. I dislike having to make this sacrifice of course; but I have no alternative at the moment. Hopefully this will not go on being the case for too much longer. Enjoyed the slide shows, Andy! Thanks for sharing your vacation highlights, beautiful breads (and pizza and focaccia). Congratulation on your MSc, and best of luck finding your bakery! and Congratulations on your graduation! delicious meal for a hungry couple. The breads also looked amazing. Thanks for sharing your hoilday! Thank you for your very kind words Sylvia; yes, baking in the high heat is the very best way to bake pizzas. We shared the pizza and focaccia with the owners of Anatolika, who were staying in one of their villas just a few metres above us. They looked after us so well, and even brought us fresh fish [4 beautiful sea bream] from their hometown of Rethymnon when they came back at the second weekend. Crete must be beautiful, indeed, and how nice you could find a holiday cottage with a WFO! And even finding all those kinds of flour to bake with. I enjoyed your slide show, beautiful loaves (as usual) and lovely countryside. Did you see a minotaur? Go for it, we'll be glad to hear news of your upcoming bakery, Andy! the music comes from Ross Daly. I will of course continue to share my baking adventures here on TFL. What a magnificent journey you're on! Crete, graduation, family, bread and roses! And, now, a new goal: a bakery. It's a joy vicariously sharing your steps. So many good things happening .............. Wishing you the very best for all your future endeavors ! Congrats and all the best for a great future. Enjoyed the slide shows very much. I thought you were a great baker - Now you are a Food Policy Wonk :-) Very nice baking all over the place as usual. You had as many apprentices in Crete as Ian does! You will find your bakery soon enough and be stuck to one place before you know it. that's a strange word; certainly hasn't made it into use this side of the pond. Marvelous post Andy, the slide show with music very nice, the loaves and flat-breads baked in the WFO yummy looking, the gorgeous photos of Crete and it's landscape, breathtaking! Talk about a busman's holiday, going through all that flour while on vacation,shame on you! 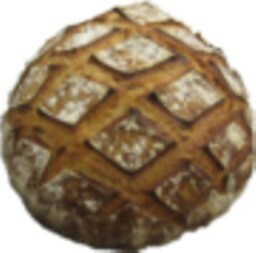 :^) I'm not sure I'd do it myself, even having a nice little WFO to use as you did, but making bread with no deadlines or production pressure is a true joy to be sure, and glad you were able to find the time to share it with us, many thanks! You and I joined TFL within months of each other a few years back and since then obtaining your MSc. has always been one of the goals of the person I've come to know as Andy Smith. It's a genuine pleasure to be able to celebrate your success with you, and I have no doubt that we'll be celebrating the opening of your own shop in the not too distant future as well. Thank you so much for all your very kind words. Baking on that little wood-fired oven at Anatolika is a joy, I assure you. No pressures at all, and good bread to eat and share the whole fortnight. When I had to defer the Food Policy course for a year, just over halfway in, I was gutted. But you cannot spend 30 hours a week in a classroom and hope to read for a Masters degree at the same time. So it's taken 3 years, but yes, the goal is achieved. Andy, just looking out onto foggy Brighton beach ... I truly envy those cats! You had a great holiday. That piece of laminated rock - it could inspire a new pastry! And congratulations for your graduation. Thank you for your comments. I enjoyed reading them on the train this morning on my way home after some hard nightshifts baking alone. In contrast, the weather on the coast between Dunbar and Alnmouth was fantastic; I think it's a wonderful stretch of our coastline here in the UK, and the main East Coast line runs right next to it for miles. Actually, the rock really is laminated. That's what it is; layers of different rock strata compressed over many millions of years. My current life in England sadly doesn't take me north of London very often, but on a visit to Scotland I couldn't take my eyes of the coastline you describe. Truly stunning. I hope you will find your bakery soon. Did you catch this post of a trip of ours to Holy Island? So many things to celebrate – your Master’s degree, the sun and the sea! My sincere congratulations on your achievement with your studies, and you look deservedly proud. Your visit to Crete must have been a welcome respite from the Northern climate, and my goodness, what a lovely cottage, perched on the edge of the sea in such a picturesque setting – and it must have been so lovely, experiencing your treasured place in a new season. I adore the French names for the vegetables – aubergine and courgette, and can only imagine how flavorful the local foods (and spirits?!) must have been. And Juergen is right, that really does look like laminated rock! The breads you’ve baked for your markets are first-class and that five-grain levain! – the bloom and crumb are outstanding. Your bakery’s going to be a smashing success. Wishing you the very best for your baking – and wishing you acres of sunshine, too! thank you for all the generous things you have written, they are all very much appreciated. Anatolika really is a very special place...as you say "treasured".